MCAA Student Chapters have been tasked with a proposal to be the prime contractor on the mechanical portion of the addition and renovation project of Indiana University’s Memorial Football Stadium. This year’s project details were generously provided by Harrell-Fish of Bloomington, Indiana. The project includes the completion of all plumbing, piping and HVAC work. As the acting mechanical subcontractor, Students Chapters are tasked with the purchasing of all equipment, materials and providing all necessary labor and equipment to complete the entire mechanical scope of work. The project includes full BIM coordination to locate and correct any clashes with all other crafts prior to fabrication or installation of any piping or ductwork. The mechanical contractor will be responsible for all cost related to any modification required for rerouting or relocation of any pipe or duct if they fail to participate in the model clash detection exercise. Challenges will include design and installation of the utility piping for the food services area. It will be the team’s responsibility to design the distribution piping and the branch lines for each piece of equipment for the entire food service area. The drawings included with the bid documents include a layout detailing the required location of each piece of equipment. 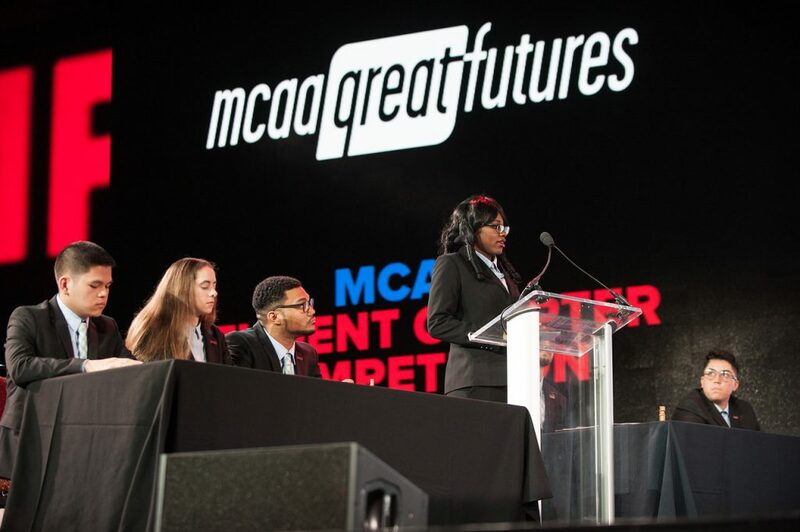 This year MCAA has teamed up with Procore to enhance the bid submittal process and give students a taste of the real world construction industry. All participating students will be given free access to Procore’s Project Management software will retain access after the completion of the student competition. Procore.org specifically works with universities to educate the future construction workforce and support the advancement of the trades and skilled labor. All proposals are due for submittal through Procore by Friday, November 30, 2018. For more information, please contact Harlee Gallo.